Being the 1st Part of a Compleat Transcript with Commentary on Episode #11 of Theme Time Radio Hour, "Flowers"
There's much of note in Episode 11 -- "Flowers" -- of Theme Time Radio Hour, including monster lists, the largest group of def poetry readings in the show's history, quotations from Buddha, Isiah, and H.L. Mencken among others, a mystery laugh, appearances by two Dylan contemporaries from the Greenwich Village scene of the `60s, and some evidence that Our Host was wingin' his commentary as much as reading from a script. The Woman in Red: It’s nighttime in the Big City. Outside the dogs are barking. A woman walks barefoot, her high heels in her handbag. It’s Theme Time Radio Hour with your Host, Bob Dylan. Bob Dylan: It’s time for Theme Time Radio Hour, and tonight we’re going to be talking about the most beautiful things on Earth – the fine-smelling, colorful, bee-tempting world of flowers: the Bougainvillea, the Passion Flower, the Butterfly Clerodendrum, the Angel’s Trumpets, the Firecracker plant. Bob Dylan: We’re gonna be talkin’ about… flowers. On Theme Time Radio Hour. Thomas also points out that Gemini is Dylan’s birth sign. Whether that was in his mind or not, the Gemini hybrid tea rose that Dylan names is a favorite of rose exhibitors. Other plants probably not familiar to the casual listener include the Silver King, commonly known as white sage, the German Statice, favored in dried floral designs, the Globe Thistle, a perennial that produces metallic-blue blossoms with perfectly round flower heads, and the wonderfully named “Joe Pye/Pie Weed” which takes its name from a legendary Indian healer who used the plant to cure typhus fever in colonial America. Yarrow and Tansy are two inhabitants of old-fashioned herb gardens, the names probably more familiar to Shakespearean scholars than today’s gardeners. The crushed leaves of Yarrow are an astringent, still used by herbalists to help heal cuts. Legend has it that the Achilles used it for healing his soldiers after battle. It is also said to reduce inflammation, increase perspiration and relieve indigestion. “…and the Victoria’s Sorghum… I just made that one up (laughs)”. Dylan obviously enjoyed having an audience with him when taping his Theme Time narrative: the sounds of laughter, off-stage voices, even a kitten meowing can be heard during several shows. 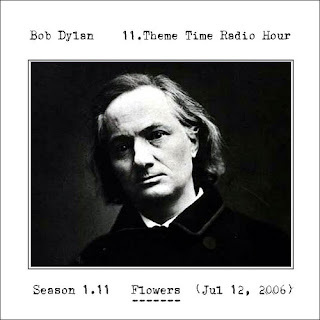 Bob Dylan: Thomas Beecher said, “Flowers are the sweetest things God ever made and forgot to put a soul into.” Anything that beautiful is going to inspire a lot of songs, and the next hour is gonna be chock-full of `em. 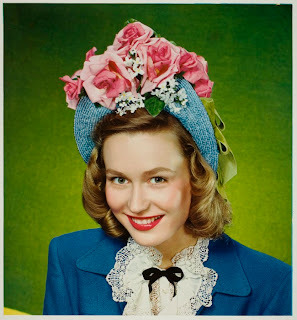 We’re going to start things off with a Morning Glory of a song by the King of Western Swing… the man who pretty much invented it, Bob Wills and His Texas Playboys doing his theme song, “The New San Antonio Rose.” A bridal potpourri. Most authorities cite Thomas Beecher’s sibling, the more famous Henry Ward Beecher, as the originator. Both Beechers were the brothers of the even more famous Harriet Beecher Stowe. It’s interesting that Dylan mistakes Thomas for Henry, as even a casual web search on the quote brings up Henry Ward Beecher’s name. It’s likely that Dylan already knew the quote, was familiar with both Henry Ward and Thomas Beecher, and inadvertently used the wrong brother’s name on Theme Time when reciting the “Flowers are the sweetest things…” line from memory. Thomas Beecher was a study in contradictions who would appeal to Gemini Bob Dylan. He was far more politically and socially conservative than his siblings. He opposed both abolition and the woman's rights movement, yet participated in the Underground Railroad and joined the Union army. While strongly against women’s emancipation, he publicly acknowledged his wife's role in running his parish, and accepted a woman as his own minister after he retired. Bob Dylan: Bob Wills and “The New San Antonio Rose.” It was called “The New San Antonio Rose” because he recorded a fiddle instrumental called “San Antonio Rose” eight years earlier. Bob Dylan: Perhaps the most famous rose garden is the one in the West Wing area of the White House. It was established in 19 and 13 by Ellen Deweese [sic, actually “Loise”] Wilson, wife of Woodrow “Woody” Wilson. Bob Dylan: Let’s move out of the Rose Garden for a second and move over to the boxwood border of the grass and go grazing with the Friends of Distinction. This song was written by South African trumpet player Hugh Masekela, but it became a big hit when it was recorded by The Friends of Distinction . “Grazin’ in the Grass.” “I can dig it, you can dig it.” We can all dig it. Let’s dig it together, shall we? Before you put me in the tank. And now she won't drive me to drink." Bob Dylan: “I can hardly bear the sight of lipstick on the cigarette’s there in the ashtray.” “A Good Year for the Roses,” George Jones. But were always a rose ~ Robert Frost, frosty poet. Bob Dylan: Paul Clayton also has a song about roses. Paul has a lot of songs. He traveled all around the country collecting `em. During the Fifties, he made a collecting tour with Liam Clancy and together they found a whole bunch of blues, ballads and gospel music. I don’t know if this one was among `em, but it sure is a great song. All about young Bonaparte. Concerning the bonny bunch of roses. Paul Clayton. Indeed, Paul did have a lot of songs. Clayton and Dylan were contemporaries in the Greenwich Village music scene during the early Sixties. Dylan’s “Don’t Think Twice, It’s Alright” was based on a song Clayton had copyrighted, “Who’s Gonna Buy Your Ribbons When I’m Gone?” While from all reports, Clayton was flattered by Dylan’s appropriation, their respective publishers engaged in a legal battle over who was entitled to the royalties for Dylan’s version. A court eventually ruled that Clayton’s version was based on an even older song, “Who’s Gonna Buy Your Chickens When I’m Gone?” in the public domain. 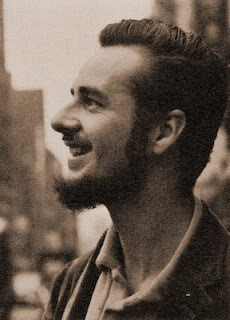 “Bonny Bunch of Roses” was collected by Clayton on that trip in the summer of 1956 and released on his 1957 album, "American Broadside Ballads in Popular Tradition." 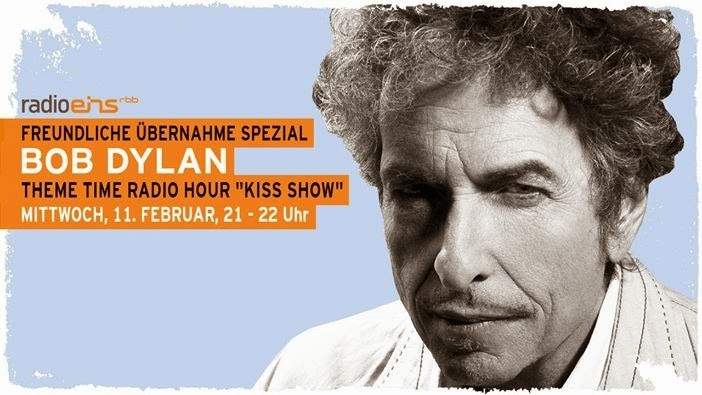 Bob Dylan: That was Paul Clayton and “Bonny Bunch of Roses” on Theme Time Radio Hour. Bob Dylan: Roses have been named after a lot of famous people. There’s the Cinderella Rose, the Cary Grant Rose. The General MacArthur Rose. Roses have been named after Judy Garland, Lady Diana, Snow White, Sir Lancelot, and Chevy Chase. However, the Himalayan Blue Poppy has nobody named after it. The Chevy Chase rose was named after the Maryland community and not the comedian. 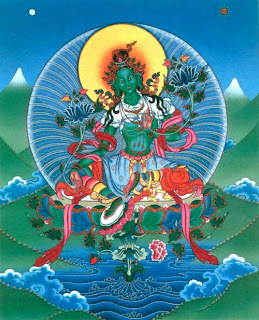 While the Blue Poppy doesn’t have anyone named after it, and even isn’t a rose by any other name, it is associated with the Tibetan Buddhist goddess known as Green Tara, the Buddha of enlightened activity. Perhaps that was what earned the flower a TTRH shout-out, a poppy among a half-dozen roses. That’s how Christopher Marlowe said it. Kim Shattuck and her band, The Muffs have another way of putting it. Bob Dylan: For our friends in Alabama, you got the Camilla. In Alaska, we have the Forget-Me-Not. In Arkansas, it’s the Apple Blossom. California it’s the California Poppy. In Delaware, it’s the Peach Blossom. For our friends in Georgia, it’s the Cherokee Rose. In Minnesota, it’s the Pink-and-White Lady Slipper. Mississippi has the Magnolia. In Nebraska, it’s the Goldenrod. New Mexico of course has the Yucca Flower. In New Hampshire it’s the Purple Lilac and in Tennessee it’s the Iris. “Aloha!” to our friends in Hawaii where the official flower is…. the Pua aloalo. And of course in Wyoming, it’s the Indian Paintbrush. Bob Dylan: If I was born with the name, Lucius Venable Millinder, I would be happy with that. But he changed it to “Lucky” and fronted one of the swinginest bands that ever played. If nothing else, he was the man who introduced singer and guitarist Sister Rosetta Tharpe to the American audience. But he made plenty of records on his own, and none of them swung better than this tribute to the fruit-bearing vine of the grape. Which only makes sense, ‘cause Lucky Millinder retired from music and spent his later years as a liquor salesman. Here’s Lucky Millinder, and his “Grape Vine.’ I wondered if he used this as his theme song? Bob Dylan: Here’s a song about some choices. “Tulip or turnip? Rosebud or rhubarb? Filet or plain beef stew?” This one’s by Duke Ellington and His Orchestra. Bob Dylan: That was Duke Ellington and His Orchestra, featuring the great Ray Nance as vocalist. Ray was also a great trumpet player and one of the most famous jazz violinists. 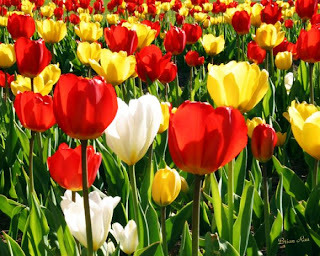 Bob Dylan: The tulip was introduced to Europe in the middle of the 16th century, and soon became very popular in the Netherlands. It rapidly became a coveted luxury item and status symbol. A single bulb could cost as much as a thousand Dutch florins. By 1635, they were worth a hundred times as much. A sale of 40 bulbs was made for 100,000 florins. Just to give you an idea of how much that was a ton of butter only cost a hundred florins. And eight fat swine 240 florins. In February of 1637, tulip traders could no longer get these inflated prices. They began to sell and the bubble burst. It was worse than Black Friday, the stock market crash of 19 and 29. To this day economists use the phrase, “tulip mania” to refer to any large economic bubble. They might have been better off with turnips. Our Host’s information about “tulip mania,” including the line about “eight fat swine” is taken almost verbatim from its Wikipedia article.